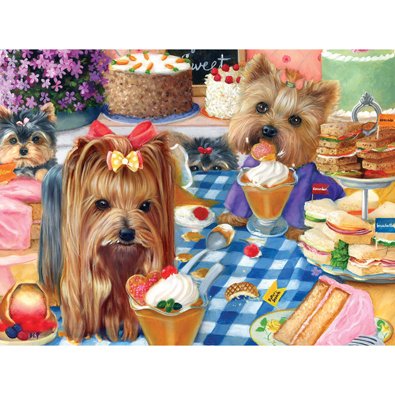 This 300 large piece jigsaw puzzle is designed by Rosanne Kaloustian and measures 20" dia. Available in two piece count. The sun is shining bright on two beautiful country days as the chickens get fed and a cat curls up by the stove. Two heartwarming jigsaws by artist John Sloane. Measures 45cm x 61cm.